Stop the Bleed is a national awareness campaign and call-to-action to encourage bystanders to become trained, equipped, and empowered to help in a bleeding emergency before professional help arrives. Similar to how the general public learns and performs CPR, it is important for the public to learn proper bleeding control techniques, including how to use their hands, dressings, and tourniquets. No matter how rapid the arrival of professional emergency responders, bystanders will always be first on the scene. A person who is bleeding can die from blood loss within five minutes, therefore it is important to quickly stop the blood loss. 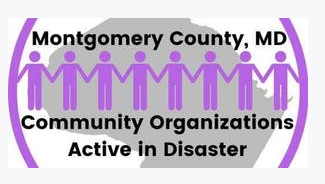 The Montgomery County Office of Emergency and Homeland Security will offer this training on Thursday, March 14th from 3:00-4:00 PM at The Steven A. Cohen Military and Family Clinic at Easterseals, 1420 Spring Street, Silver Spring, MD. COAD member Jonathan Bjorson will instruct the class on how to look for life threatening bleeding, how to compress and control life threatening bleeding, and how to properly apply a tourniquet. Please use link and password below to register.